Laptops are losing weight. Devices from just a few years ago look dated today, as power is crammed into ever smaller cases. Ultrabooks aren’t just fashionable. They’re the new normal. 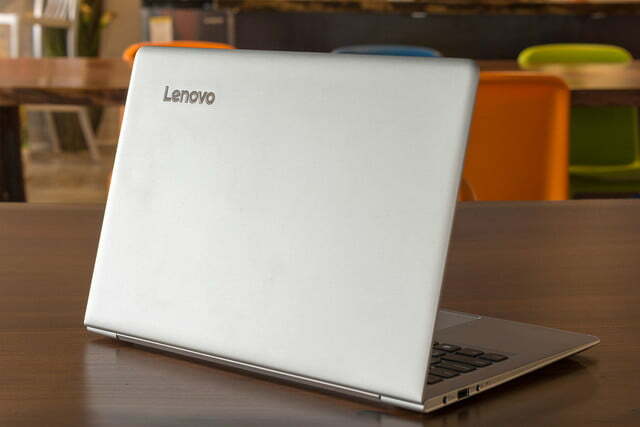 Take Lenovo’s latest Ideapad, the 710S. 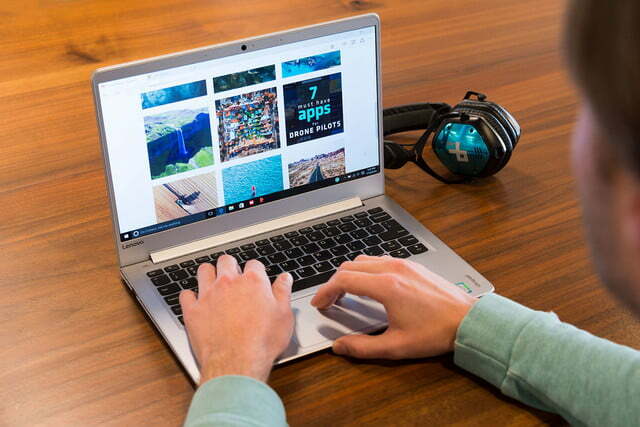 This 13-inch laptop is only a half inch thick and weighs just 2.6 pounds, yet crams in a 6th generation Intel Core i5 processor, 8GB of memory, a full HD display, and 128GB of solid state storage. With this kind of hardware, at this price point, the 710S doesn’t need to be lightweight and thin to be a good value. But it is, showing the extent to which lightweight laptops are taking over the market. Are there any downsides to shrinking designs like the 710s? 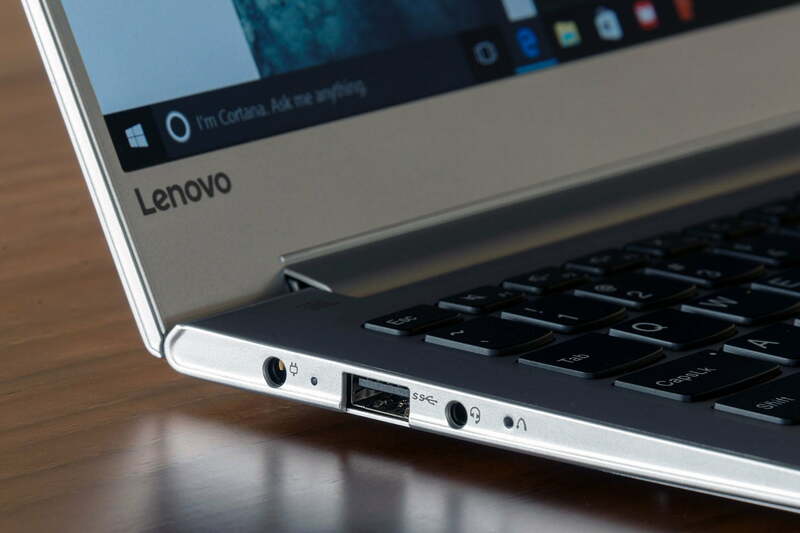 Or does Lenovo somehow make it all work? Done right, a thin laptop doesn’t call attention to itself. Every ounce a device sheds makes carrying your backpack easier, but that’s not worth it if everything feels flimsy, or the parts are so small that working on it feels cramped. 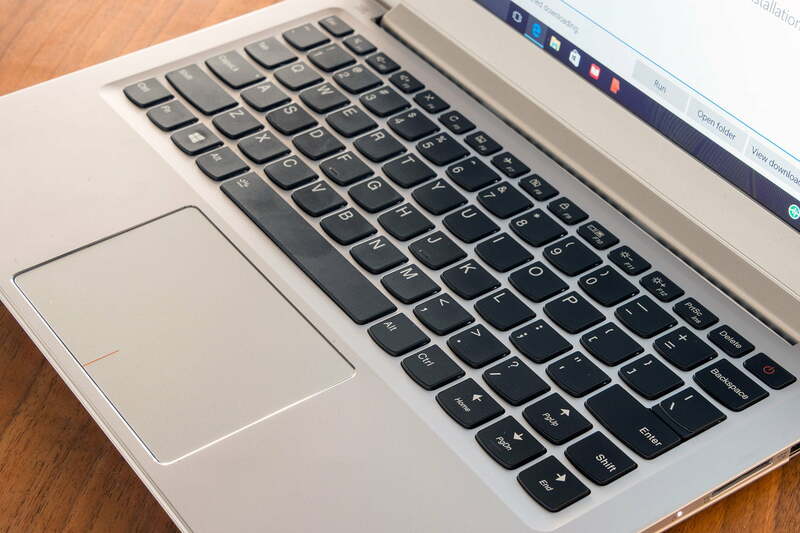 Pick up the Ideapad 710S and you’ll notice it’s thin and lightweight. Set it on a desk or table, however, and nothing feels small. There’s a lot of room to work with. Thin bezels along each side of the 13.3-inch display means it takes up most of the horizontal space in front of you, but a thicker top and bottom bezel leaves more depth for the keyboard and touchpad, and enables conventional webcam placement (unlike Dell’s XPS 13, which places the webcam below the screen). 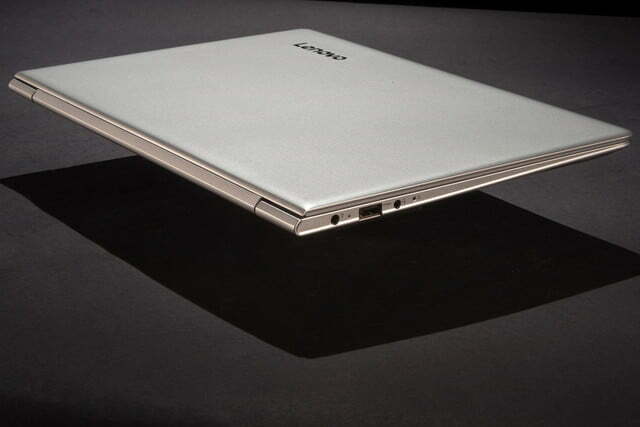 It’s a balanced approach, and one that proves ultrabooks don’t have to sacrifice usability on the altar of size. The 710S is thin and lightweight, yet doesn’t compromise usability. There are flaws. The bottom of the case is a single piece of this alloy, while a top plate surrounds the keyboard. This leaves a visible seam near the edge, which we wish was out of sight on the bottom of the device. Overall, though, we like the 710S’ simplicity and usability. Try to bend the 710S and you’ll find it’s quite strong, despite weighing so little. This is because of the magnesium alloy casting. The lightweight material is cool to the touch like metal, but also easy to confuse with plastic due to its odd texture. There is no flex to the main body of the 710S at all, despite the material being quite thin. The screen will flex quite a bit if handled, but not enough to distort the display. The result is a laptop that is light, but not flimsy. It’s a balanced design that doesn’t sacrifice anything to obtain a thin profile. There’s a lot to love about this keyboard. The keys are generously sized, with just the right amount of space between them. 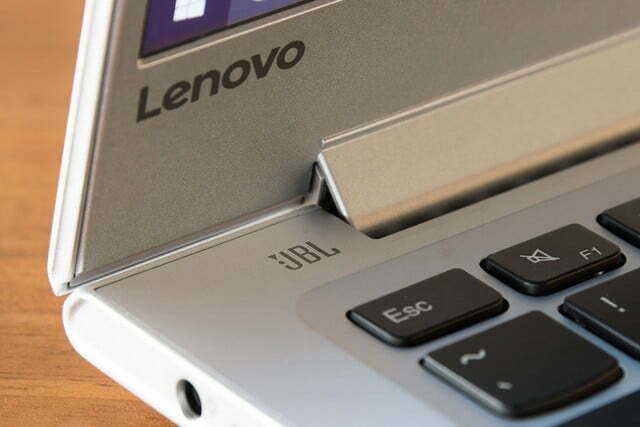 All are curved on the bottom, giving them that distinctive Lenovo look. And while there’s not a lot of room for action in this tiny laptop frame, there’s a satisfying click with every keystroke. Typing is comfortable. Well, mostly. There is one potentially major annoyance — the right Shift key, which is about half the size of the left Shift key. The “Up” arrow takes up the space that a larger shift key would stretch into, meaning touch typists will curse, loudly, as they move up a line instead of shifting. It’s infuriating, and will be until you re-learn that bit of typing. This laptop is so light, you might not notice you’re carrying anything. There aren’t any other oddities, happily. Eagle eyed readers will no doubt notice the Macbook-style “Power” key instead of a separate button. Don’t worry about hitting it accidently while reaching for the “Delete” key, though. You need to press and hold it to put the laptop to sleep. The keyboard offers backlighting, which can be toggled by pressing “FN” and the space bar. It’s nice to have this feature, especially with a keyboard shortcut that’s so easy to find in a dark room. The touchpad could be better. It’s generously sized, but the texture is a little bit stickier than we’d like. We sometimes found scrolling inconsistent. Frequently, while browsing the web, we’d end up accidently zooming in. There’s also no two-finger tap for right-click, which is disappointing, though three-finger tapping to launch Cortana still works. There’s a clearly marked right and left click area on the touchpad, which feels dated at this point. 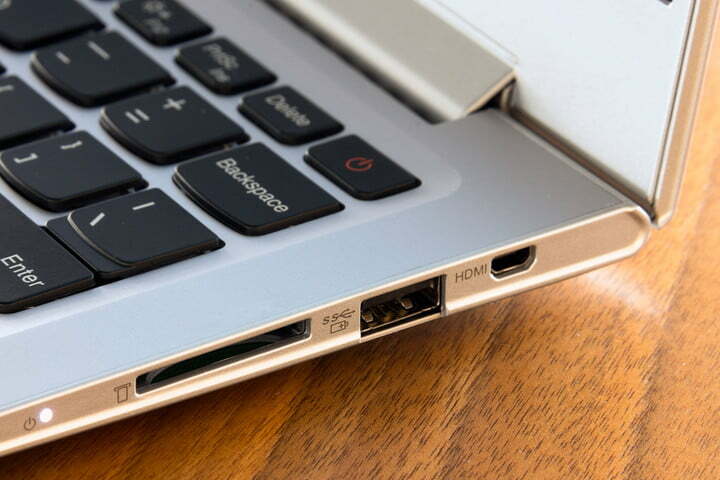 There are two USB 3.0 ports on the Ideapad 710S, one of which can be used for always-on charging. A third port would be nice, but two is about average for laptops at this point. Video-out is handled through a micro-HDMI port, and there’s an analogue jack for headphones, mics, and external speakers. There’s also an SD card reader, useful if you want to supplement the relatively small default storage offering of 128GB. Wireless internet is handled by the Intel AC 8260 card, which offers 802.11 a/c connectivity. There’s also Bluetooth 4.0 support. 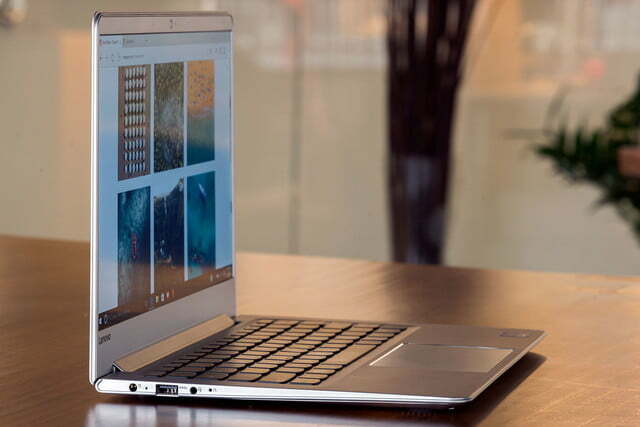 The Ideapad 710S offers a 13.3-inch matte display, with a resolution of 1920 by 1080, or full HD. That’s 166 pixels per inch, which is dense enough that it’s quite hard to make our individual pixels. The display is bright, putting out 328 lux in our tests. That’s above average for a laptop, and good enough to use outside on a sunny day, if not necessarily in direct sunlight. The matte screen means reflectivity won’t be much of a problem. You can feel free to crank up the brightness, because it doesn’t wash out the contrast. 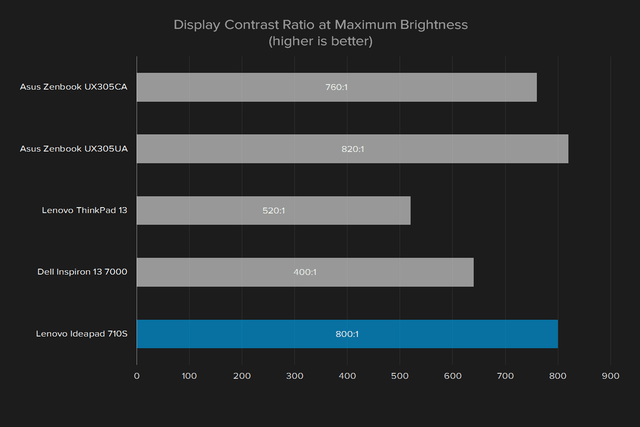 Our tests showed an 800:1 contrast ratio at maximum brightness, which means text looks crisp and shadows are clear. This high score handily beats out displays offerings like the Dell Inspiron 13 7000, and only barely falls short of the Asus Zenbook UX305UA’s score of 820:1. Text looks very crisp on this display, which makes for pleasant reading. We were blown away by the color and clarity of photos. Colors don’t look bad, either. 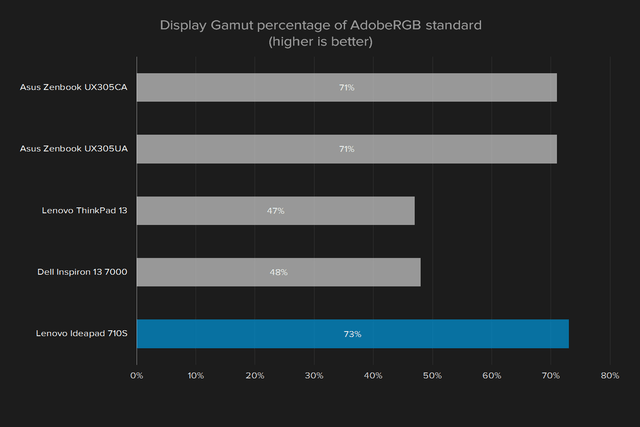 The display shows 74 percent of Adobe’s RGB scale, which again edges out the Zenbook. Looking at the various nebulas and galaxies offered by NASA’s Astronomy Picture of the Day, we were blown away by the color and clarity of every image. Watching the trailer for Rogue One: A Star Wars Story, every spark that flew after a blaster shot was clearly visible. Colors looked vibrant, and shadows were easy to make out. The speakers don’t live up to this display. Placed on the bottom of the laptop, they’re muffled if sitting on a soft surface like a cloth placement. Bass is unclear even on a hard surface, though the rest of the spectrum is relatively crisp. You can hear the speakers from across the room without difficulty, but you’re going to want external audio for really rocking out. 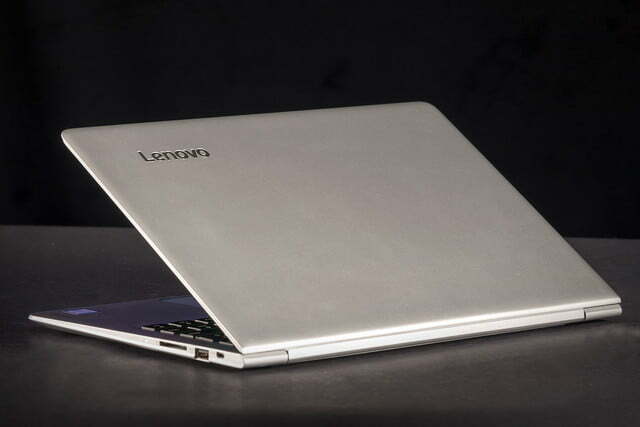 Our review model was outfitted with a 6th generation Intel Core i5 processor and 8GB of memory. That’s a decent amount of power for an affordable ultrabook, but how does it compare to similar devices? Quite well, as it turns out. 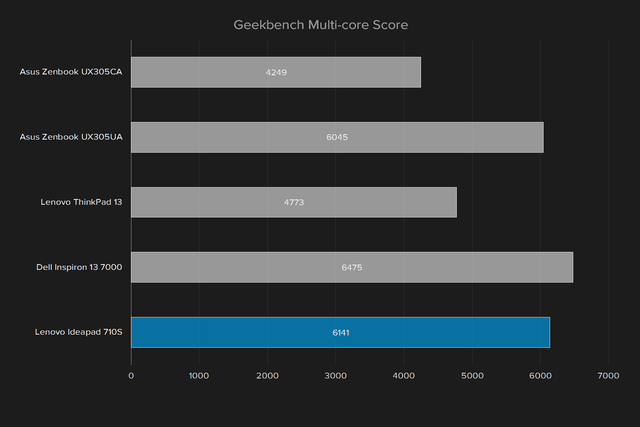 Our GeekBench tests showed a single core score of 3,174, and a multi core score of 6,141. That is about what you should expect from a Core i5 processor, which is why the results are similar to other Core i5 devices, like the Asus Zenbook UX305UA or the Dell Inspiron 13 7000, both of which also sport an i5 despite relatively small frames. 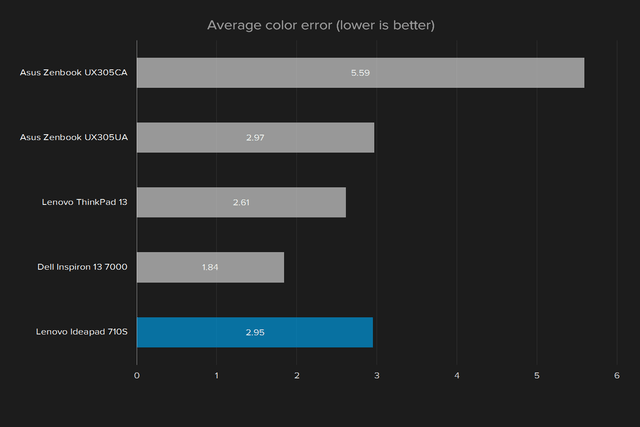 Devices with less powerful processors, predictably, scored worse. With this kind of power, you can expect day to day activities web browsing to breeze along without a hitch. 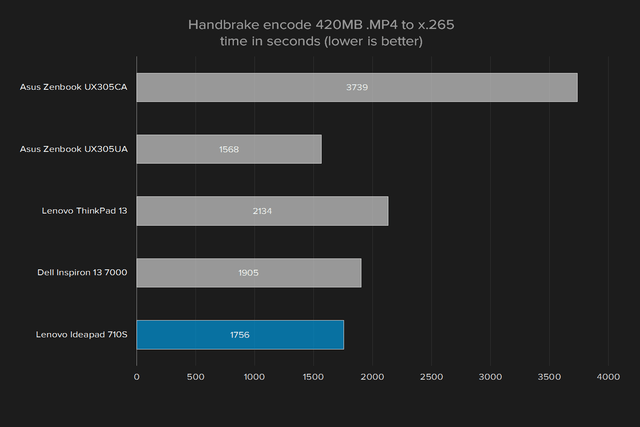 Even intensive tasks, like video processing, are pretty fast. Converting the 4K trailer for Elysium took Handbrake 29 minutes, which is faster than every similar competitor except the Asus Zenbook UX305UA. There’s not much that will slow the Ideapad 710S down in day-to-day usage, and even some advanced stuff will run admirably. There are faster laptops on the market, but not in a form factor like this, and not at this price point. The 710S is equipped with a 128GB Ramaxel PCIe solid state drive. That’s not a lot of storage, granted, but it’s respectable for the price point. Only a few competitors, like the Asus Zenbook UX305UA, provide more storage for less. But if capacity is limited, how is the speed? 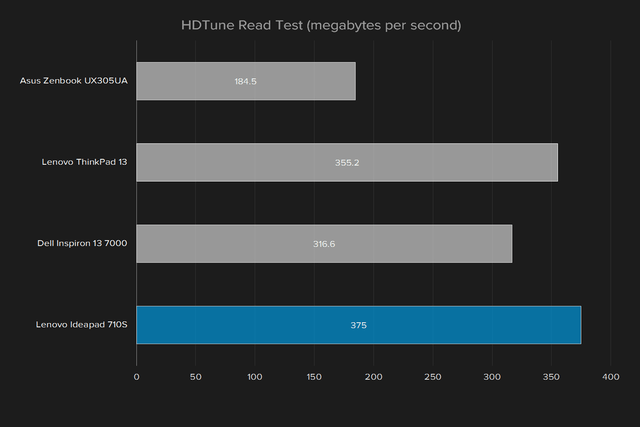 Decent for reading, but slow for writing, our tests show. 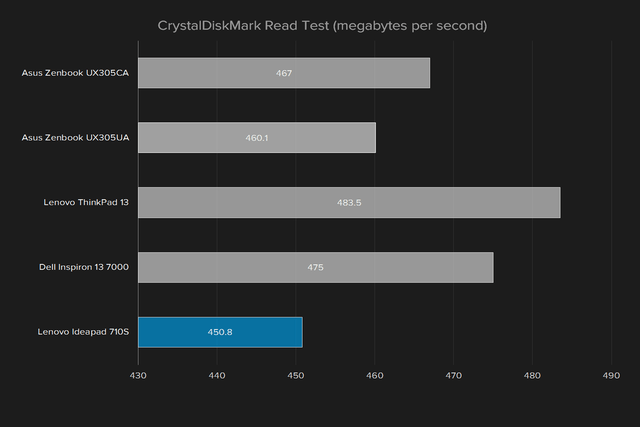 Running a CrystalDiskMark sequential test, we saw a read speed of 450.8 megabytes per second, which is about what you should expect from a PCIe solid state drive. The read results, however, weren’t great: 142.3MBps, which is slower than some mechanical hard drives we’ve tested. 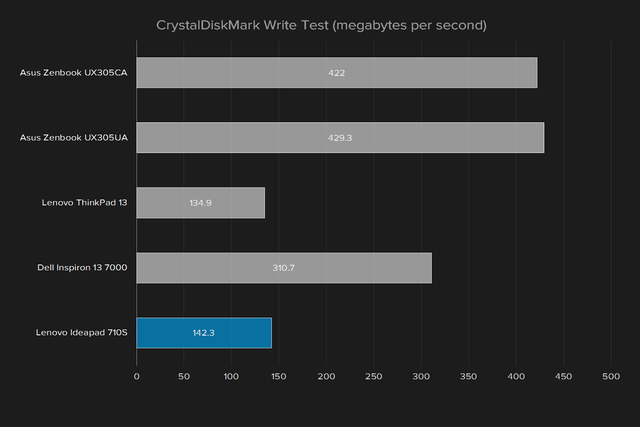 Similar laptops like the Asus Zenbook 305UA and Dell Inspiron 13 7000 manage to avoid this problem, offering write speeds that are similar to their read speeds. The 710S’ results suggest that booting up the computer and opening large files will work quickly, and be almost instantaneous in some cases. Our experience matched the results. Saving large files, on the other hand, can take a while, as can transferring large files to the drive. To be fair, most users don’t do this very often, but if you’re planning on editing large files regularly, the slow write speed could be a problem for you. The 710S, like most ultra-portables, uses on-board graphics, specifically Intel HD Graphics 520. No one should expect top-tier performance from this setup, but we ran a few tests anyway. 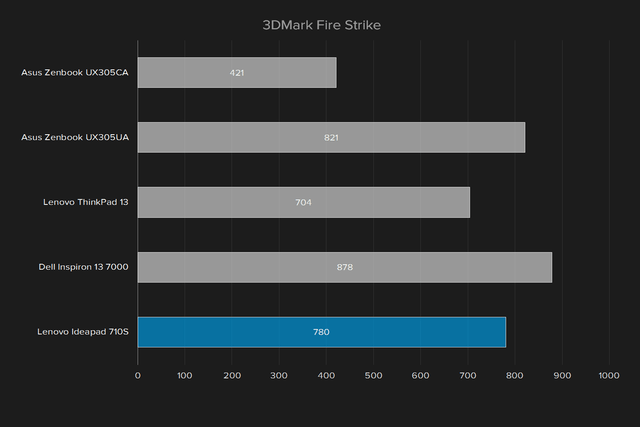 Our 3DMark tests gave us a Fire Strike score of 780 and a Sky Diver score of 3,511, which is about what users should expect from a laptop like this. 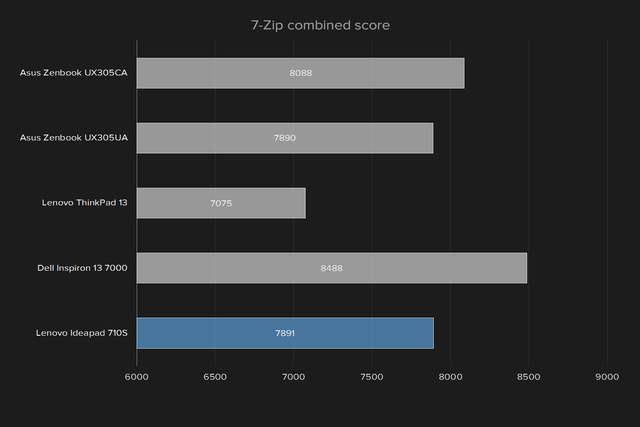 The results are a little lower than the Dell Inspiron 13 7000 and the Asus Zenbook UX305UA, but not dramatically so. In either case, you shouldn’t expect to run the latest games at top settings. We tried anyway, because that’s what we do. First we fired up Heroes of the Storm, Blizzard’s all-star battle game. At the highest settings, we saw an average framerate of 11 frames per second, which is not playable. Things were better at low settings, which bumped up to 44 frames per second. That’s not the ideal of 60 frames per second, though, so the game felt jumpy when the action got intense. We also fired up Counter Strike: Global Offensive. At high settings we saw an average framerate of 19 FPS, which is awful. Lower settings were near playable, though, at 50 FPS. You can get some 3D games to work on this laptop, and they approach playable if you turn down the settings. But don’t expect a top-of-the-line gaming experience. 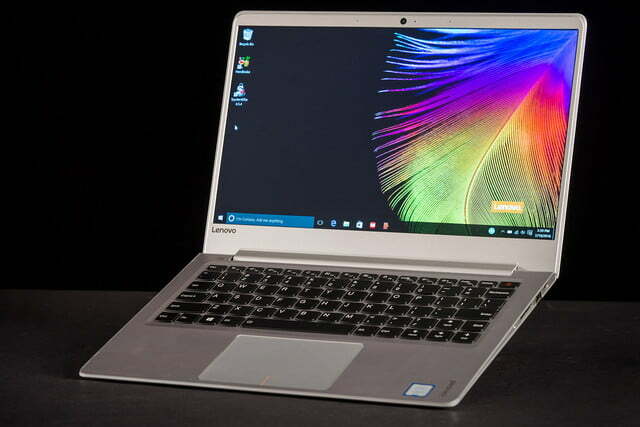 We’ve already mentioned that the Ideapad 710S is light, weighing only 2.6 pounds. It’s also only 0.55 inches thick, meaning it can fit easily into your messenger bag or laptop. The only real problem here is thinking you forgot your laptop, because this laptop is so light you might not notice you’re carrying anything. So you can hit the road. But will the battery hold up? The 710S is equipped with a four cell, 46 watt-hour unit. Our Peacekeeper battery test, where we run benchmarks on a loop until the battery dies, gave us four hours and 52 minutes of battery life, which compares favorably to the Dell Inspiron 13 7000’s result of four hours four minutes, but falls behind the Zenbook UX305UA’s five hours and 34 minutes. 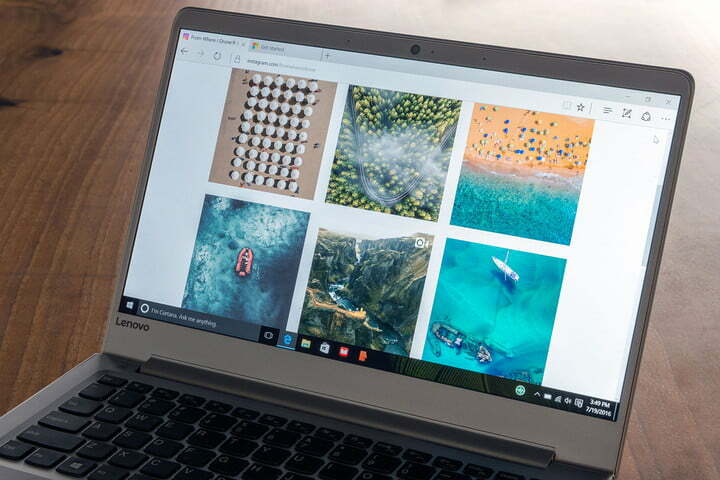 Our web browser test, which opens the homepage of several popular sites automatically until the battery dies, gave us five hours and 36 minutes, which again edges out the Inspiron (five hours, two minutes) and falls behind the Zenbook (eight hours, 58 minutes). Finally, the 710S managed to play a looping HD video for nine hours and 54 minutes. The 710S doesn’t lead the pack, but its battery life is respectable. It’ll last at least five hours of constant web browsing, and should last several hours longer if you occasionally pause to stream video or do work in Word. This Ideapad’s fan seems to keep the laptop cool. At idle, the warmest temperature we could detect on the surface was 82 degrees Fahrenheit. Running an intense benchmark for five minutes warmed it up to 100.8 degrees. That’s hot, but not so hot that it’s uncomfortable. For comparison, the Asus Zenbook UX305UA hit 100.1 degrees, and the Dell Inspiron 13 7000 hit 106.4 degrees. Will you hear this fan? Yes, but only just barely. We measured 44.1 decibels during our intensive benchmarks, which was four decibels louder than the ambient noise in the room. Most notebooks are several decibels louder. The Asus Zenbook UX305UA measured about the same, at 43.7 decibels, and the Dell Inspiron 13 7000 was quieter, at 38.9 decibels. 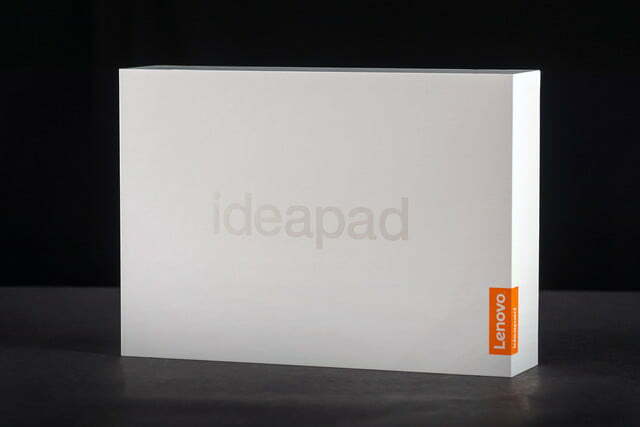 The Ideapad 710S is covered by a one-year warranty, which is standard for laptops. Our review unit was the $750 version with an Intel Core i5, 8GB of memory, and 128GB of storage. Things get pricier if you want more power. A Core i7, with 16GB of memory and a 512GB solid state, costs $1,400. That’s nearly twice as much, but still in line with the market considering the specifications. The Core i5 version we reviewed is best compared to the Asus Zenbook UX305UA, which won our Editor’s Choice award. 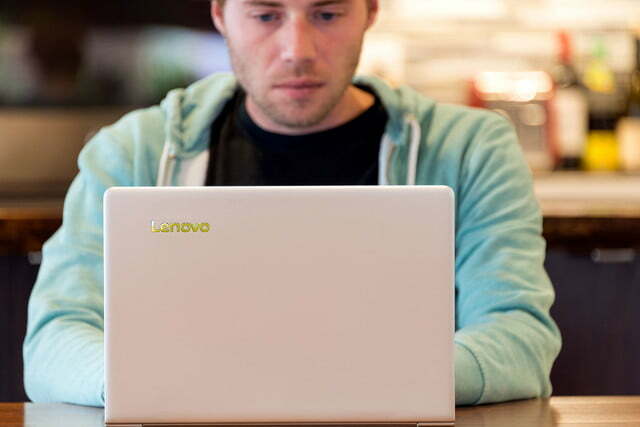 The two devices share a $750 price tag, and Lenovo’s Ideapad keeps up in most benchmarks. The Lenovo’s weaknesses, relative to the ZenBook, are its hard drive write speed and battery life. While we like the 710S, it doesn’t quite beat the defending champion. Still, the Ideapad 710S is worth your attention. It outperforms competitors like the Dell Inspiron 13 7000, and Lenovo’s own ThinkPad 13, rather easily, in a lighter case and at a similar price point. If you’re considering a lightweight laptop, but also demand decent processing power at a low price, the 710S is well worth your consideration.